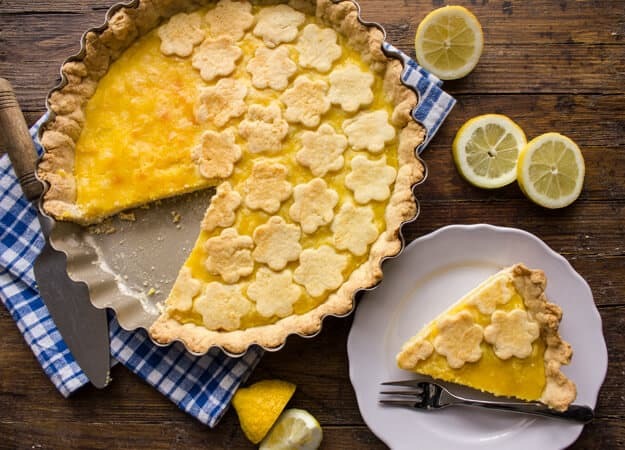 Lemon Crostata, a simple and easy Italian Dessert. Made with a flaky pie pastry and a delicious fresh lemon cream filling. 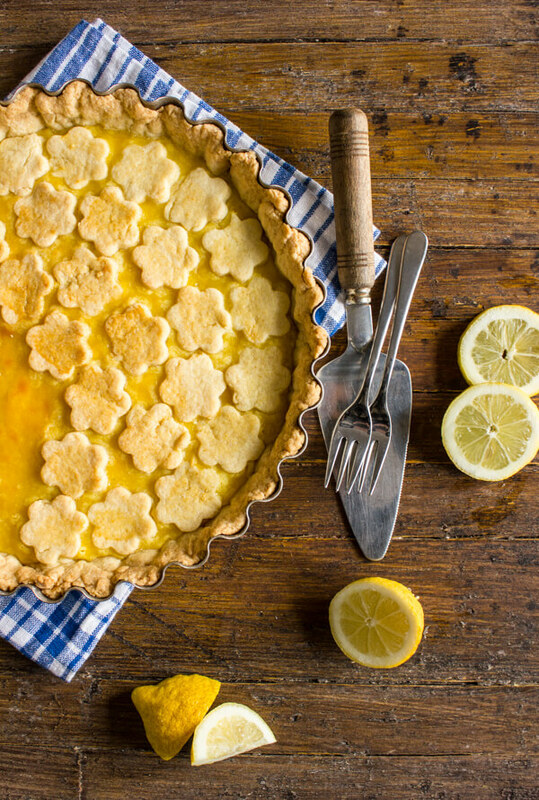 This Italian Lemon Crostata is your perfect snack or dinner dessert recipe. I wish I could say this Italian Lemon Crostata was made from lemons from my own tree, but unfortunately the Italian and I have absolutely no luck growing lemons. Try as we might, nothing but, a couple of green leaves here or there and not a lemon in sight.After we got married we lived in my brother-in-law’s house while we were building our own. Well my husband who is a tree lover, decided to plant a couple of lemon trees. And that my friends began our no-lemons-for-us-curse! Six months after we moved to our new house, that darn lemon tree was producing more lemons than it was tall. I kid you not. Needless to say lemons grow very well for most people in Italy, in fact I have a shopping bag full in my kitchen from our friends. So what to do with home-grown lemons? 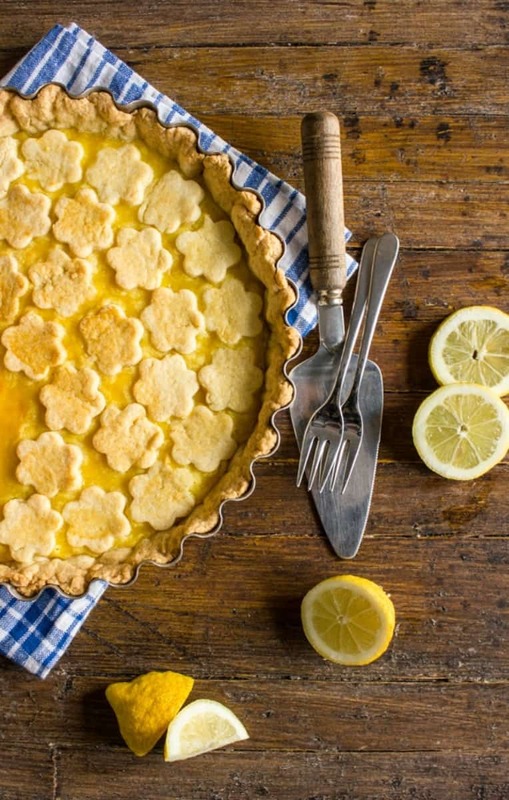 You can always make lemonade but why not make this amazing, one-of-my-favorite-Italian-sweets: Italian Lemon Crostata. A Crostata is quite often referred to as being similar to a pie. Not quite in my opinion, the dough of a Crostata is slightly richer and the filling is usually a jam filling, sometimes Nutella or Chocolate or in this case a Lemon Crostata. This filling is nice and lemony and creamy, made slowly stirred often until it thickens. The other day a friend of my husbands came by for a visit and what did he bring with him? Yup two of his own just rooted baby lemon trees, those poor things have no idea what is in store for them. Now don’t get upset, the trees don’t die they just don’t produce. But I am telling you that is going to change, I hope! So thanks to our friends for this delicious Italian Lemon Crostata. Enjoy! 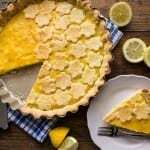 Italian Lemon Crostata, a simple and easy Italian Dessert. 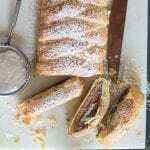 Made with a flaky pie pastry and a delicious fresh lemon cream filling. The perfect snack or dinner dessert recipe. In a large bowl whisk together salt, flour, sugar and baking powder, make a well in the centre and add egg, egg yolk and butter (cubed), mix together (you can also use a food processor, pulse until dough just starts to come together), remove dough to a flat surface and knead until it becomes a soft dough, wrap in plastic and refrigerate for 30 minutes. PRE-HEAT oven to 350° (180° celsius) lightly grease and flour a 10 inch (26 centimeter) pie pan. 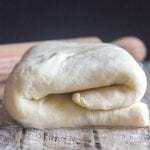 Remove dough from fridge, roll 3/4 of the dough into 1/8 inch thickness to fill pie plate, the remaining dough roll and you can use a small cookie cutter to make cutouts or make strips for the top of the crostata. In a medium pot whisk together sugar, egg yolks, egg , lemon zest, lemon juice and cooled melted butter, place on low heat and heat whisking constantly until mixture thickens (this can take a while, so be patient and do not raise the heat) (should be thick enough to coat a spoon really well, once it starts to thicken it will thicken very quickly, so be careful not to burn). Remove from heat, and fill prepared crostata dough, top with cutouts or strips, brush lightly with milk and bake for approximately 30 minutes, after 15-20 minutes you may have to cover around the top of pie crust as it tends to brown quickly. Let cool completely before serving. Enjoy! Hi Carmen, thank you, I hope you enjoyed it. Have a great week. This looks gorgeous! 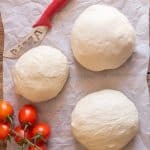 Would a ten inch tart pan work for this recipe? And is it necessary the entire tart be brushed with milk before baking, or just the cut-outs? Thank you! Hi Jennifer, yes the recipe is for a 10 inch pie, and brush just the cut outs or strips with milk. Hope that helps and let me know how it goes. The size and juiciness varies in lemons. would be 1/4 cup, 2 T per lemon? Hi JDV sorry about that, I corrected it, it should be egg. Hope you like it. Rosemary, I made it last night for a dinner party last night, it came out great and was a hit! Thank you for this recipe, simple and delicious! I followed it faithfully except for using the juice of three lemons instead of two since I have so many and I ended up cooking it for 50 minutes to get the full rise and browning of the cutouts. I’m making it per the directions. 3 eggs 1 yolk. Stirring it right now! Is this gonna work? I have no more lemons! Hi Leona, if you follow the directions it will work. What do you mean you have no more lemons? 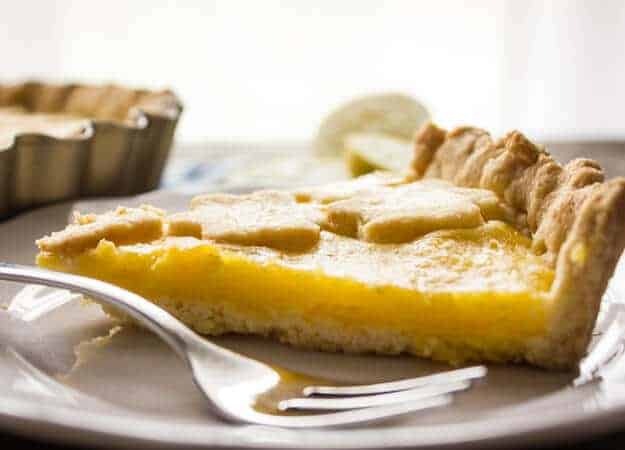 You need lemons to make this Lemon Crostata, or else add vanilla or substitute with an orange instead. Can a glass pie dish be used to prepare the crust or should it be metal? Hi Brent glass is fine, I use one sometimes and it works no problem. what type of sugar is needed? Hi Matthias, so glad you enjoyed it. Have You ever tried the filling with orange juice and zest instead of lemon? Hi Matthias, no I haven’t but it does sound interesting. Let me know if you try it. I just made this crostata for one of our Easter desserts. My husband was born and raised in Italy so his family loves anything lemon! The crust came together very easily in my Cuisinart. I did have to add a bit of ice water to get it to bind well and I let it chill for an hour. I tasted the filling on a spoon and it is very delicious. 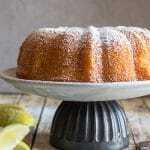 I used Meyer lemons and it gave it a wonderful flavor. I want to warn people that you may think there is not enough of the filling as mine barely covered the bottom of my crust. However, once it bakes and everything puffs up, it is a perfect ratio. I will definitely be making this again! Buona Pasqua! Hi Danielle good idea on warning people because the filling in a crostata is always quite thin but works really well. So glad you enjoyed. Buona Pasqua! Hi Jeanne, your welcome and thanks so much, I hope you enjoy it. Have a wonderful Christmas. I have not had this! It looks great! Thanks Megan, it is delicious. Hi Nicole, I agree! They are delicious. Have a great weekend. this looks delicious! and your presentation is just stunning! can’t wait to try it! What a gorgeous crostata. I have a bag of lemons that I bought on a whim. Now I know what to do with them! Thanks Laura, hope you enjoy it. I adore anything with lemon. Unfortunately, I’m the only one in my house that likes lemon. Oh well, I’m still going to make this delicious crostata and will have to eat a piece every day until it’s finished. Good luck with the lemon trees. Funny story about those lemon trees – isn’t that how it always works? I wish we had lemon trees – I bet they are so much better than the ones I get in the grocery store. 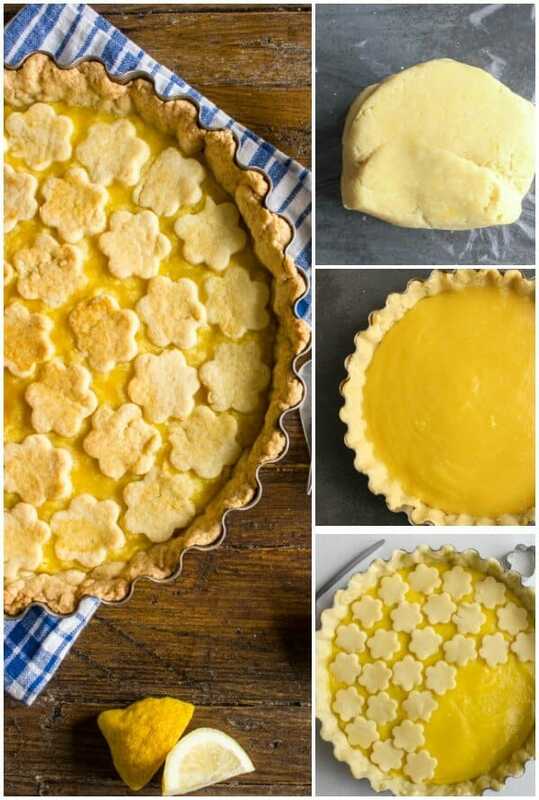 That crostata is so beautiful – my boyfriend loves lemon anything, so will have to give this one a try. Hi April, thanks, nothing like just off the tree fruit eh? Have a great weekend.